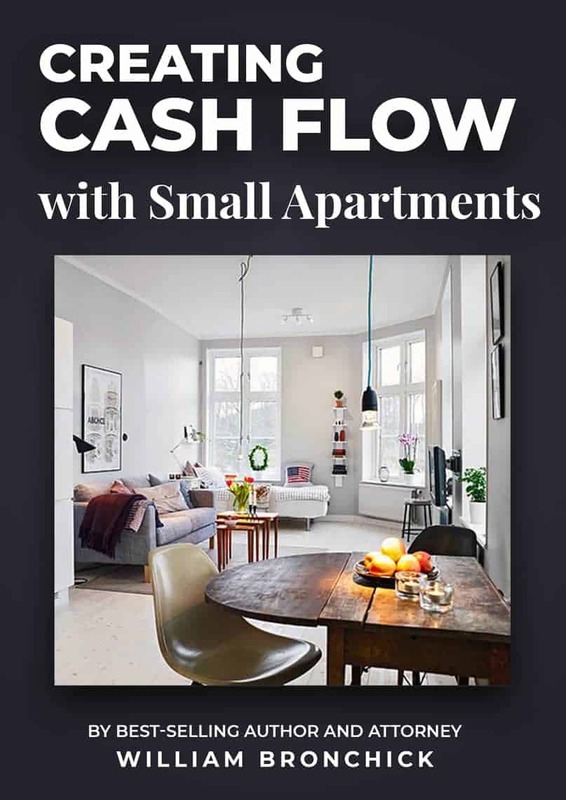 Free Small Apartments Investing eBook! Small Apartments can provide cash flow equity, and a prosperous retirement for you and your family. Why is now the time to invest in small apartments? Simple - because of the lack of affordable housing, the demand for apartments has skyrocketed. The millions of families who have lost their homes in the last bust have to live somewhere. Those unable to move in with relatives are forced to live in multifamily units. Small apartments cost less per unit and provide more overall profit than single-family homes. And, the amazing thing is… A FEW SMALL APARTMENT BUILDINGS CAN SET YOU UP FOR LIFE! Hard to believe, but true. One or two apartment buildings can literally set you up financially for life. You can have monthly cash flow in the four and five figure range. Fill in the form below and learn how YOU can acquire small apartment buildings, even if you don't have gobs of cash or experience.